* Movie tickets can only be purchased from this Website by credit card. * Movie tickets purchased via this Website will be available for collection at the relevant cinema. * Movie tickets purchased via this Website are non-refundable and are not available for exchange, unless required by law. * Prices on this Website include Tax where applicable. * Seat reservation for movie tickets purchased via this Website is on a "best available" basis and is carried out by a prescribed computer program. * By purchasing movie tickets via this Website, you agree that: (a) You will accept the seat reserved for each ticket purchased; and (b) We make no warranties or representations to you that you will be seated in a particular seat, row or section of the relevant cinema. * You agree that we may at our discretion, refuse to sell movie tickets to you or withdraw any movie tickets from sale via this Website. * Movie tickets are made available subject to the classification of the relevant film given by the Office of Film and Literature Classification. * Where voucher tickets are purchased, suitable identification must be presented upon collection of the tickets. State Cinemas Nelson respects your privacy and recognises the need to protect the personally identifiable information (any information by which you can be identified, such as name, address, and telephone number) you share with us. In general, you can visit the State Cinemas Nelson website without telling us who you are or revealing any personal information about yourself. We track the Internet address of the domains from which people visit us and analyse this data for trends and statistics, but the individual user remains anonymous. Some of our web pages use "cookies" so that we can better serve you with customised information when you return to our site. Cookies are identifiers which a web site can send to your browser to keep on your computer to facilitate your next visit to our site. You can set your browser to notify you when you are sent a cookie, giving you the option to decide whether or not to accept it. The information we collect and analyse is used to improve our service to you. There are times when we may collect personal information from you such as name, physical address or telephone number. It is our intent to inform you before we do that and to tell you what we intend to do with the information. Generally, you will have the option not to provide the information, and in the future, you will be able to "opt out" of certain uses of the information. If you choose not to provide the information we request, you can still visit the State Cinemas Nelson website, but you may be unable to access certain options, offers and services. State Cinemas Nelson will not sell, trade or disclose to third parties any information derived from the registration for, or use of, any online service (including names and addresses) without the consent of the user or customer (except as required by subpoena, search warrant, or other legal process or in the case of imminent physical harm to the user or others). State Cinemas Nelson will allow suppliers to access the information for purposes of confirming your registration and providing you with benefits you are entitled to. 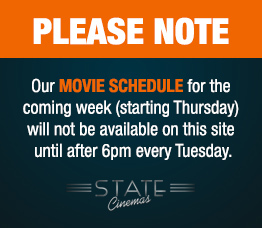 State Cinemas Nelson will take appropriate steps to protect the information you share with us. We have implemented technology and security features and strict policy guidelines to safeguard the privacy of your personally identifiable information from unauthorised access and improper use or disclosure. State Cinemas Nelson will continue to enhance our security procedures as new technology becomes available. If you do not receive a confirmation number (in the form of a confirmation page or email) after submitting payment information, or if you experience an error message or service interruption after submitting payment information, it is your responsibility to confirm the Booking from your booking history whether or not your order has been placed. Only you may be aware of any problem that has occurred during the purchase process. State Cinemas Nelson will not be responsible for losses (monetary or otherwise) if you assume that an order was not placed because you failed to receive confirmation. Your Booking confirmation will be sent via an email; to the email address that you entered on the Booking Confirmation page. This confirmation needs to be printed and shown at the Cinema Ticket Counter or Booking reference entered at a Cinema Kiosk (where this is available) in order to obtain a physical ticket for entry to the movie session/event. You will also need to provide the credit card used to purchase the tickets for picking up the tickets at the Cinema/Venue. State Cinemas Nelson does not offer exchanges or refunds after a ticket has been purchased. So, before completing the payment transaction, ensure you carefully review the booking details. Only under special circumstances will a refund be considered. Please contact the duty manager on the day. If the amount you pay for a ticket is incorrect regardless of whether because of an error in a price posted on this web site or otherwise communicated to you, or you are able to order a ticket before its scheduled on-sale or pre-sale date or you are able to order a ticket that was not supposed to have been released for sale, then: State Cinemas Nelson will have the right to cancel that ticket (or the order for that ticket) and refund to you the amount that you paid. This will apply regardless of whether because of human error or a transactional malfunction of this web site. 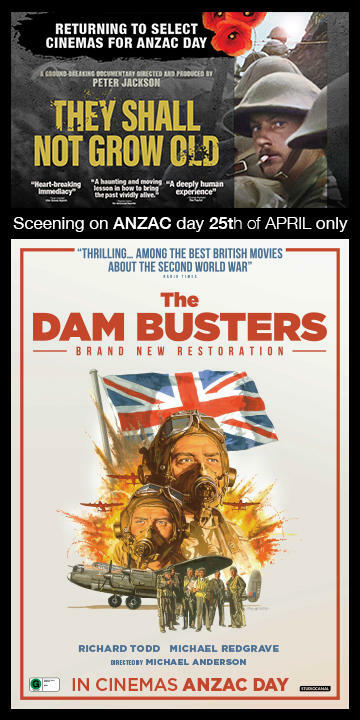 Entry is through the competition entry pages of the State Cinemas Nelson website. Winners will be notified by email. A valid email address must be submitted via the entry form. Prize-winners will be determined by a random draw from all correct entries received before the closing date. Prizes not claimed in a reasonable duration of time may be re-drawn. The winner must be able to take the prize as is, when is, as stated or else it is forfeited. State Cinemas Nelson reserves the right to determine what "reasonable duration of time" means. Prizes can't be exchanged for cash or other property and are subject to the terms and conditions and refund policies of the advertiser or promoter that is sponsoring the competition or providing the prizes.